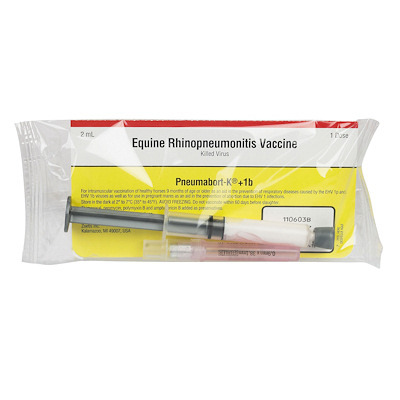 Pneumabort K + 1b (Zoetis) is a killed virus vaccine to protect mares against abortion caused by rhinopneumonitis. It contains two strains of EHV-1 for added protection. For pregnant mares give a 2ml. dose IM during the 5th, 7th, and 9th month of pregnancy. Revaccinate annually.